Widmann Hall and University Center Apartments are double-room occupancy, two- or three-bedroom apartments that offer a common living area and semi-private baths. Each suite is climate-controlled. In the common area of each suite, leather seating and a table and chair set are provided. 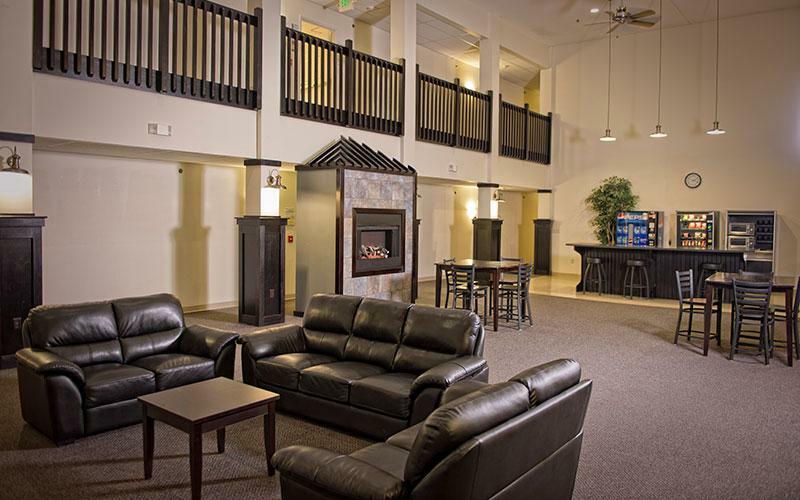 On the main level in each building, students have access to a vending area and a common lounge area with wireless Internet access, a large-screen TV and fireplace. 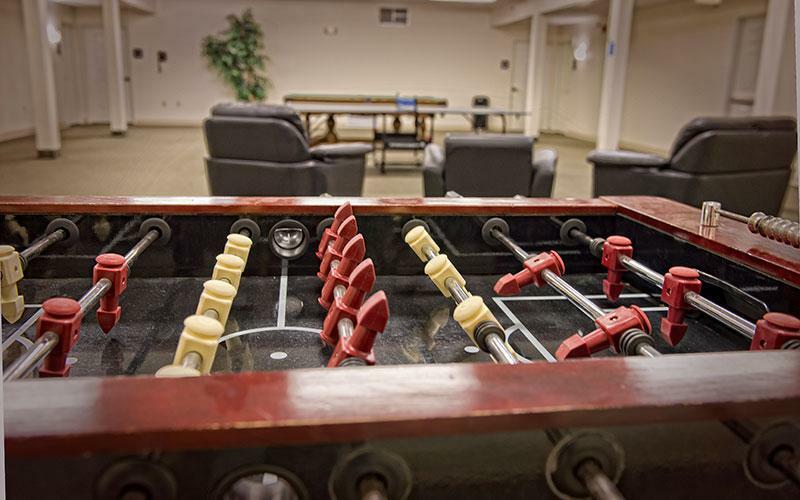 Located on the lower level is the game room; laundry areas are located on each floor. Note - diagrams represent an average apartment layout. Apartments may vary slightly.